Lane Gibbs is Co-CEO and Co-Founder, along with Matt Whitaker, of Native Oil & Gas, LLC. 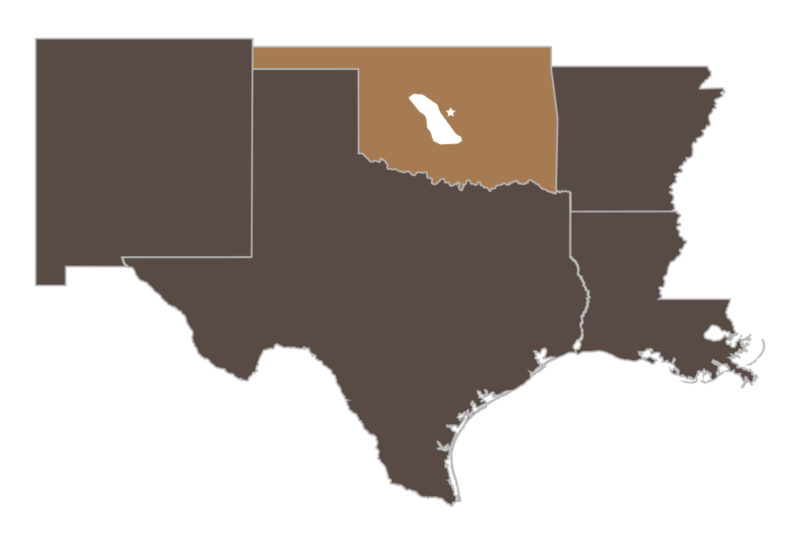 Gibbs began his energy career in Houston, Texas as a Land Representative for ExxonMobil Production Company (NYSE: XOM) before moving to Oklahoma City and joining Chesapeake Energy Corporation (NYSE: CHK) as a Landman. He then co-founded Native Oil & Gas, LLC in 2013 focusing on the strategic acquisition of minerals, royalties and working interest. Gibbs and Whitaker then went on to form Native Energy Partners I, LP ("NEP") to acquire non-operated working interest in the SCOOP and Native-Legacy Partners, LLC ("NLP") to acquire mineral assets in the STACK, SCOOP & MERGE. After the successful divestiture of both NEP and NLP, they formed Native Exploration Holdings, LLC with private equity firm Kayne Anderson Energy Funds to pursue an operated strategy in the Mid-Continent, specifically Oklahoma. Gibbs graduated from the University of Oklahoma with a Bachelor of Business Administration degree in Energy Management. He lives in Oklahoma City, OK and is married. He serves on the Board of Directors for the Wes Welker Foundation and is a council member of the Northside YMCA. He is a member of AAPL, OCAPL, OIPA and St. Luke’s United Methodist Church. Matt Whitaker is Co-CEO and Co-Founder, along with Lane Gibbs, of Native Oil & Gas, LLC. Whitaker began his energy career as a field landman in Western Oklahoma before joining Devon Energy Corporation (NYSE: DVN) as a Landman. He then co-founded Native Oil & Gas, LLC in 2013 focusing on the strategic acquisition of minerals, royalties and working interest. Whitaker graduated from the University of Oklahoma with Bachelor of Business Administration degrees in Energy Management and Finance. He lives in Oklahoma City, OK and is married. He is a member of AAPL, OCAPL, OIPA and PBLA. Kayne Anderson Capital Advisors, L.P., (“Kayne”) founded in 1984, is a leading alternative investment management firm focused on niche investing in upstream oil and gas companies, energy and infrastructure, specialized real estate, middle market credit and growth equity. Kayne’s investment philosophy is to pursue niches, with an emphasis on cash flow, where knowledge and sourcing advantages enables them to deliver above average, risk-adjusted investment returns. Kayne manages $25.5 billion in assets (as of 6/30/2017) for institutional investors, family offices, high net worth and retail clients and employs over 300 professionals in eight offices across the U.S. Through Kayne Anderson Energy Funds (“KAEF”), Kayne has raised over $6.3 billion of committed capital dedicated to energy private equity investments in primarily upstream and midstream oil and gas companies. Currently, KAEF has approximately 25 active portfolio companies focused on upstream and midstream oil and gas assets across North America. Kayne is headquartered in Los Angeles with offices in Houston, New York City, Chicago, Denver, Dallas, Atlanta and Boca Raton. For more information, please visit www.kaynecapital.com.